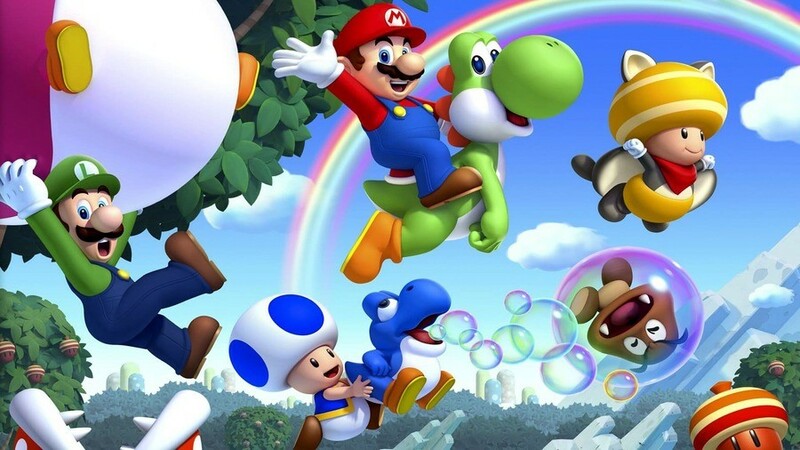 We often hear stories of amazing speedruns, or even people completing games without ever collecting any health power-ups, but this recent attempt at New Super Mario Bros. U takes things in a slightly different direction. Ceave Gaming on YouTube - who regularly plays the game over and over again with different goals - recently set himself a challenge to complete it without picking up a single coin. Of course, coins are an optional collectable but - when you think about - they're absolutely everywhere and avoiding them sounds like it must be impossible. If you want to check out the video explaining this attempt before finding out whether or not he was successful, make sure to scroll past the next paragraph and give it a watch below. If you don't mind being spoiled, we're happy to report that he was indeed successful! The run used some incredibly clever tricks such as making the most out Balloon Baby Yoshis to float above coins, Mini Mushrooms to squeeze through tight gaps in the coins, and some acrobatic brilliance with the Flying Squirrel suit. On top of this, a route had to be fully mapped out which took weeks of planning; some secret exits couldn't be used thanks to sections containing unavoidable coins, and other, pesky stages needed an awful lot of care and attention. The whole thing is definitely worth a watch, and you can see it for yourself below. 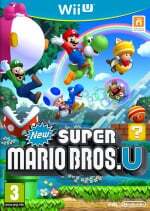 Nintendo recently announced that a Switch port of this game - called New Super Mario Bros. U Deluxe - is headed our way in January. The game includes over 164 courses, and introduces an all-new character in the form of Peachette - a new transformation from Toadette. Perhaps this new release can give you another chance to explore the game's bright and colourful worlds for your own interesting run-throughs. Have you ever attempted something like this? Perhaps you could try your own unique run-through project? Neat! Talk about an amazing challenge! I am on the fence about NSMBU Deluxe. I have the Wii U version, and I think I am done replacing my Wii U games with Switch versions after Bayonetta 2 and MK8 Deluxe - I bought them and don’t even play them! Very interesting choice of challenge, and I wonder if Nintendo have deliberately designed the stages for something like this to theoretically be possible. It was an interesting video, but I want to see him do it in New Super Luigi U.
I really enjoyed NSMB U, but I don't think there's enough new content to justify double dipping on the Switch version. I skipped the re-release of DKC: TF for the same reason. I didn't play this one yet, so I didn't know. Love this game. So glad it's coming to Switch with a few improvements/differences. Also, this guy is kind of funny, with his comments about his scientific quest. First thing first, I love this game ! I finished it 100%. Second thing, I respect that man in the video, that's absolutely great what he did. Third Thing, The Blue Wii U layout is gorgeous, it's almost calming compare to the harsh red now. That required some real dedication. I couldn’t stand to play this game that long. Sounds like the don't touch anything challenge on steroids! Man, this is some Ultra Instinct-tier stuff. Can't be possible in NSMB2 can it? On a serious note, though, you’re right about the blue layout, it’s very soothing. I would rather have a new entry for Switch. There really isn't a good reason for Nintendo not to have a Switch entry for some of these series'. I realize Wii U was a big failure, but the ROI on a game like this can't be so bad to where there won't be a new one. Still, 2019 is looking awesome otherwise and the many people who missed out on this game will probably buy and like it. Good for them. He has to have an encyclopedic knowledge of the game at this point. And, good lord, the SKILL he must need to clear some of those sections! Rather pointless really, it's not the game has a secret ending or reward for not collecting any coins. For the people enjoying these kind of challenges i highly recommend looking up Gamechamp3000 on youtube. He also does things like mario odyssey no jump or no coin challenge. I'm not sure if nintendolife once mentioned him in an article. The thing is I’ve been using it everywhere for a long, long time, so I can’t even think of finding another one. I just saw this last night. What a madman. I feel like I would have been on board with NSMBU Deluxe if they had a unique character like Wario. They could give him his shoulder bash and Wario Land powerups. That would be better than another character that is basically Spider Man's (PS1) Kid Mode. I would buy mk8 switch off you if you wanted to sell it? I would rather have had a new world of levels than this new character. Hardly worth buying it for. However I never really played this one as sold my WiiU quickly. Is it any good? Ign said it is a bit like Super Mario World. @clvr At least, that's a clever answer ! I often disagree with you but I like it when we amicably pick on each other, you’re always pretty patient with me even though I often come off as way harsher than I meant to be. Have a good night mon ami! @clvr You know if we could meet IRL, I'm sure that you'll see me totally as the opposite of what a lot of people here, think I am. I wish you a good night too amico mio! I've seen people here since I showed up, saying things like, "wow, Nintendo Life, you are hard up for articles and things you need people to click on." I beat the Mega Man 11 demo and didn't even cry (much) in between starting and finishing, if you can do anything with that. Wow. That looks incredibly challenging. I wouldn't have the patience for it. Now they need to do this in Deluxe. There is an avoiding coins challenge in the game that I've never managed to complete. Interesting. Back in the day, when I was addicted to Final Fantasy IV DS, people on the GameFAQs forums were doing these 100%, level 99, low level runs and I wanted to do something different that absolutely no one was trying, so I imposed the challenge of a magic-only run. With the party members you're given, it's impossible to do it on a fresh, new file, but after careful planning to get abilities in the first run through the game, I was able to equip enough abilities that consumed MP on every single member and heavily planned out (see also: several fun game overs) a magic-only run in just the first NG+ well enough to beat the final boss. Don't recall if I was able to kill every optional boss in the final dungeon, though, but it was still very fun and finally scratched my FF IV DS itch to kill the addiction, ha ha. I always preferred the DS and 3DS versions but this is some amazing skill and dedication! @IronMan30 2 reasons, 1: product testing - will a continuation of a game be warranted or welcome, well let's port a previous version and see how it does. 2: the Wii U was a flop, but it was because more of the system itself than the software, many of the games were great, but the ability to play them may not have been so much, so it's easier and cheaper to bring back games, if the ports succeed well enough, they may use that almost free money from the ports to pay for a continuation, personally I would love to see a Metroid Prime 1-3 & Other M ported over, they could use the guaranteed mega-sales from those to make another Metroid or perhaps the next Zelda title, Mario Maker, Zelda Maker (one can dream), or any number of continuation titles. Ports are not "cop-outs", but they are a cheap way to make extra money, but that's a GOOD thing. it's very difficult to get approval to make a game from scratch, it's a lot of time, money and resources, but offering almost free profits from ports as a "financial buffer" means more software development and research into improved hardware and even eventually new systems, port more, PLEASE !!! @jhewitt3476 I've said it before, people vote with their money. It's why Nintendo's Trash Online Service will make them millions. Nintendo pricing Nintendo's games is one thing, but Capcom is the producer and publisher for Mega Man 11, so... That's on them. It's easily worth $40. Honestly, they're fools for that, I woulda shelled out $60 for it. That is a very strong example of a demo making or breaking you. Mega Man 11 is gonna be some nice, challenging fun. Sonic Forces looked good. Then they put out a demo and saved me $40. Fools, I tell ya. I wish they'd add daisy, rosalina, or even waluigi and Wario. That I'd happily pay for. @jhewitt3476 oh, yeah. My question was semi-rehtorical. Ports serve a purpose. And no way can I call them cop outs since Wii U sold so poorly, but I'm sort of in a "I want more" mode with some of the Nintendo franchises that don' have an original entry on Switch and part of why is fear it won't happen. More or less, I was complaining for selfish reasons, but I get that Nintendo is doing what any business does, trying to make money. Also, as you said, test the waters for what sells on Switch. Ceave Gaming is a fantastic channel. He pushes Mario Maker to its limits by creating RPGs in it and more, all while showing off good game design! Plus he does occasional different video topics like this. I highly recommend it if that's your thing! I've heard of this kind of gameplay being called "Buddhist Mario". IIRC it also involved no killing and you possibly you were prevented from even finishing stages. I love these kinds of challenges and this one looks very impressive. I have a question however, if he is not collecting any coins why is the coin counter in the top left going up? Not having played the game I assume its a mechanic you can't get around but seemed curious. @Cobalt yeah I’m sure you’re right, unfortunately the internet doesn’t convey meaning, personality and emotions that well, and there’s always the risk of being misinterpreted. @clvr Again, clever to say what you just said ! You're 100% right. Have a great day dude.